Halloween is coming! In the Kingdom of the Sweet Little Dwarfs they are preparing to celebrate Halloween night. This will be a fun party with Milla and Marty, and you can help them with their last preparations! 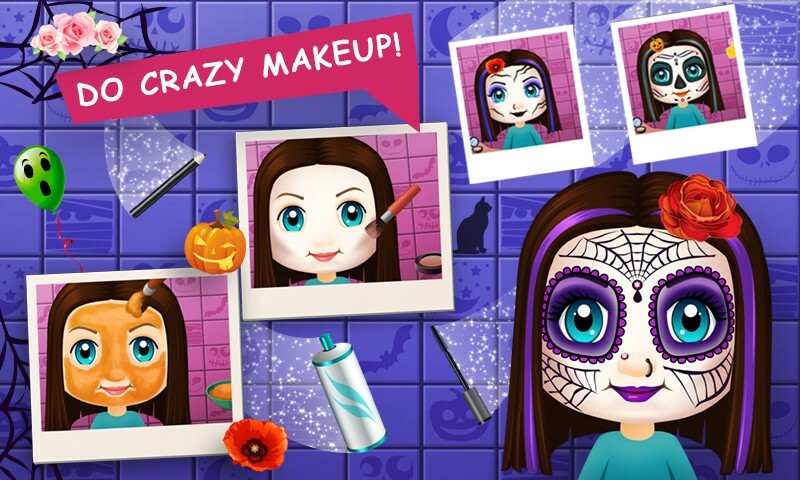 Help Milla make the best costume and mysterious make up for the Halloween party! 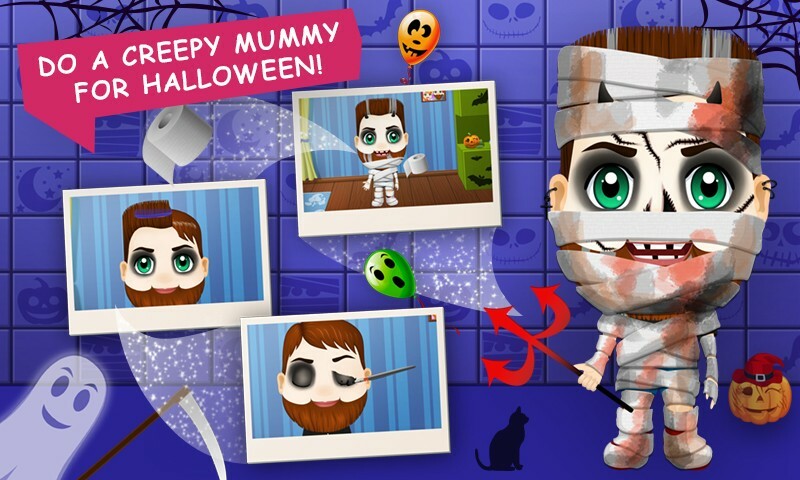 Create a frightening mummy look for Marty. 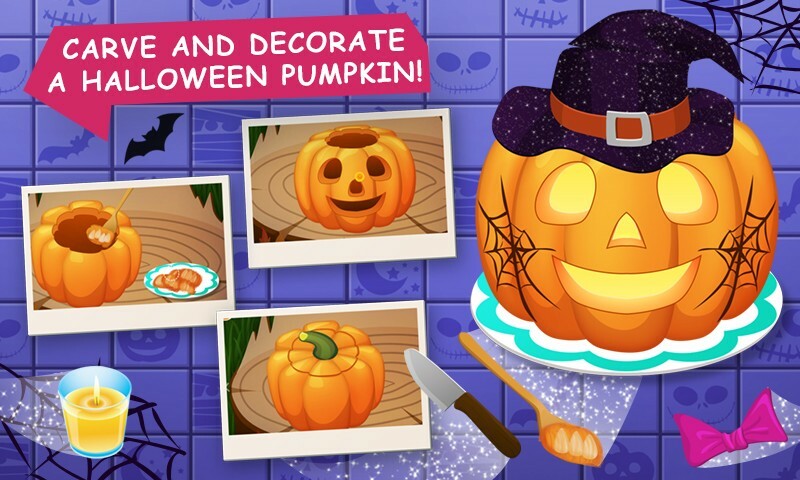 Carve a pumpkin to create scary jack-o'-lantern and decorate the house! Bake sweet cookies for a party. 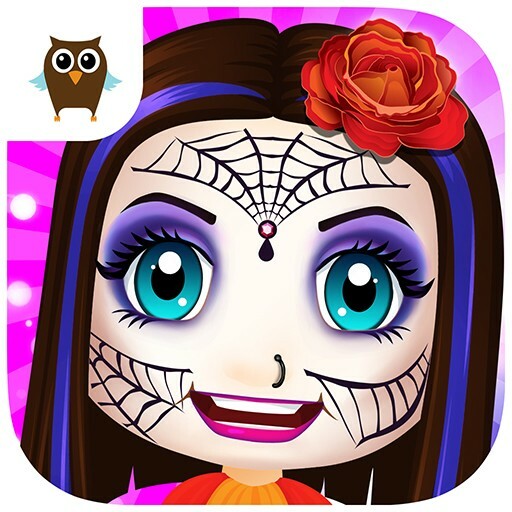 Fly with the ghost, to collect a lots of candy! 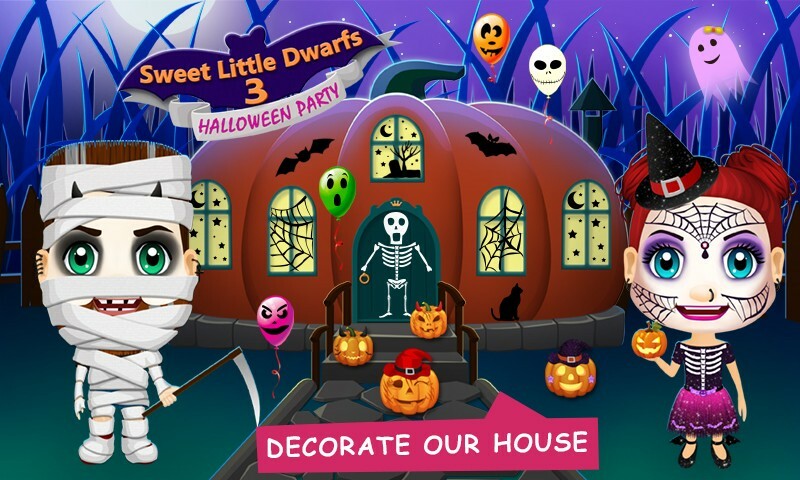 Enjoy this fun «Sweet Little Dwarfs 3 - Halloween Party» game and don't forget to leave us a review if you like it! Clean up and carve a pumpkin, remove seeds and put a candle into the pumpkin. Then decorate it! Select for Milla the best gown for the party! Mix and match different items and accessories to create the most awesome look! Milla wants look pretty, and thus she needs your help. Apply a pumpkin face mask, then put on powder and paint the lashes. Pick the best combination of eye shadows, lipsticks, facial patterns and accessories. Do Marty's make up, add horns and create a frightening mummy look. Choose the best accessories for him. 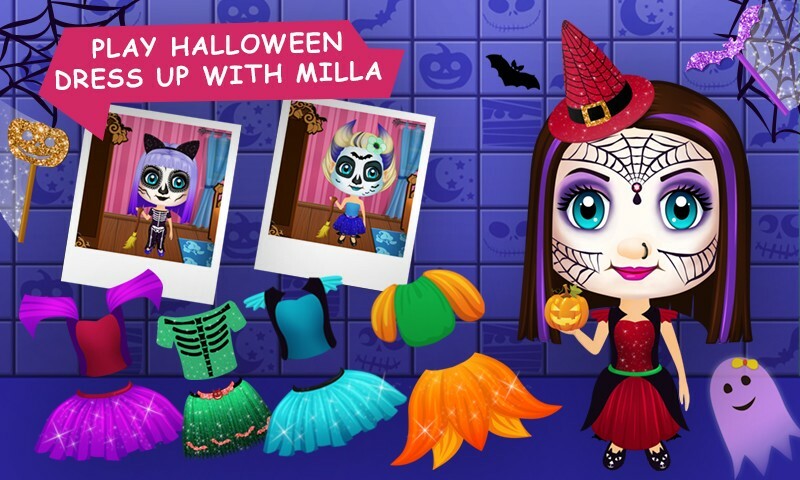 Help Milla create the coolest witch costume for the party. Draw bones on the shirt with a stencil and then spray sequins. Paint her skirt and add bat decoartive stickers. Milla loves to bake cookies. Prepare the dough, cut it with funny cookie molds and put them in the oven. When the cookies are ready, you can decorate them in a Halloween style. 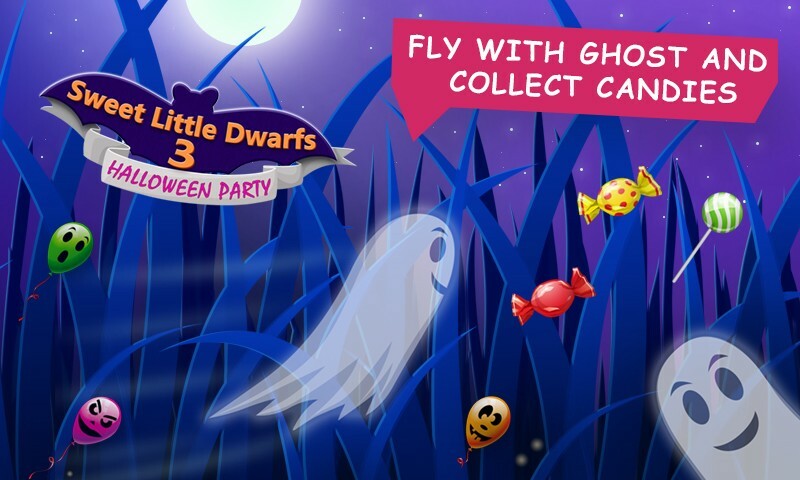 Fly with the ghost in 3 fun levels and collect as much candy as you can! Visit the cinema, watch interesting videos and get coins! 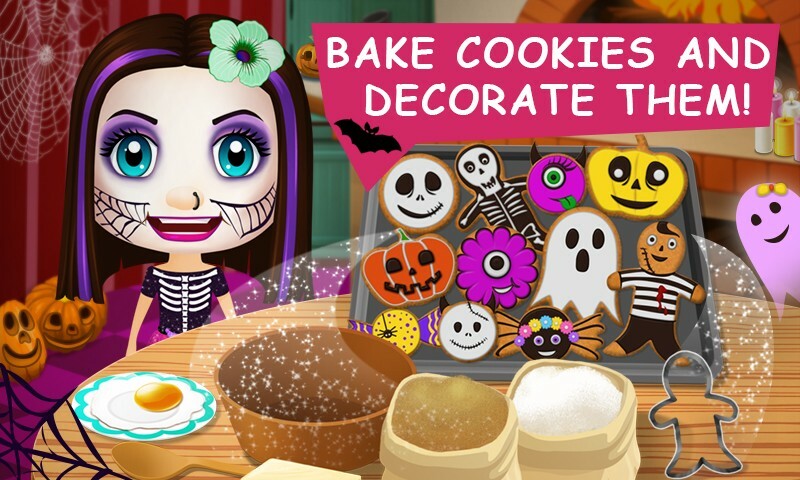 Get yummy Halloween treats and cookies for each completed level!